Free 1/2 MONTH Tuition for Referrals. Requires 3 months of Continuous Enrollment to Qualify. 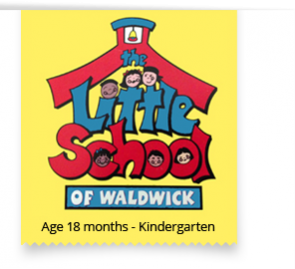 My two children attended the Little School of Waldwick. First of all, when I walked in I was amazed. The school looked like a country club for children ! It was colorful, big, with great play areas, both inside and out, and on top of everything else, it is immaculate ! The teachers are warm and very professional. The projects my children did at the school were amazing. They were so prepared for kindergarten, they could even read. This is THE place to take your children !